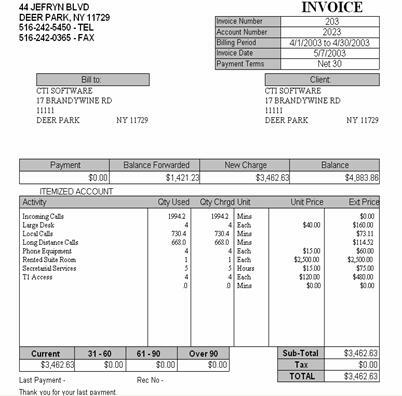 Invoices can be automatically generated on a monthly basis. Invoices will show all the monthly activity as line items showing the type of activity, the quantity used, the quantity charged, the unit of measurement for the item, the unit price (if applicable) and the total price for the item. Invoices also show the last payment amount, the balance forward (if any), total new charges, a total account balance as well as the aging of any past. 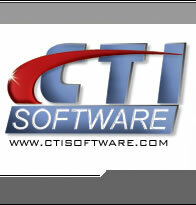 Shows you detailed maintenance information for each of your clients. It displays the company's general information, (i.e. company name, contact information, payment terms, etc.) You will also be able to view the employees for your clients and the extensions and account codes associated with each employee, along with any set contract pricing, leasing and recurring billing information. 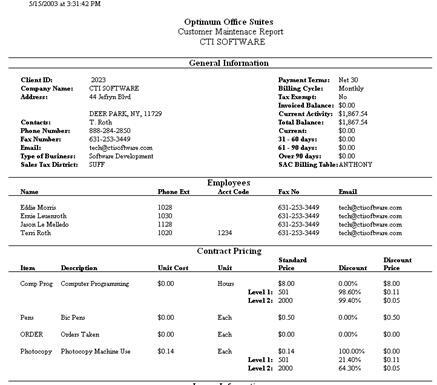 • Suite Rental and other recurring billing charges.